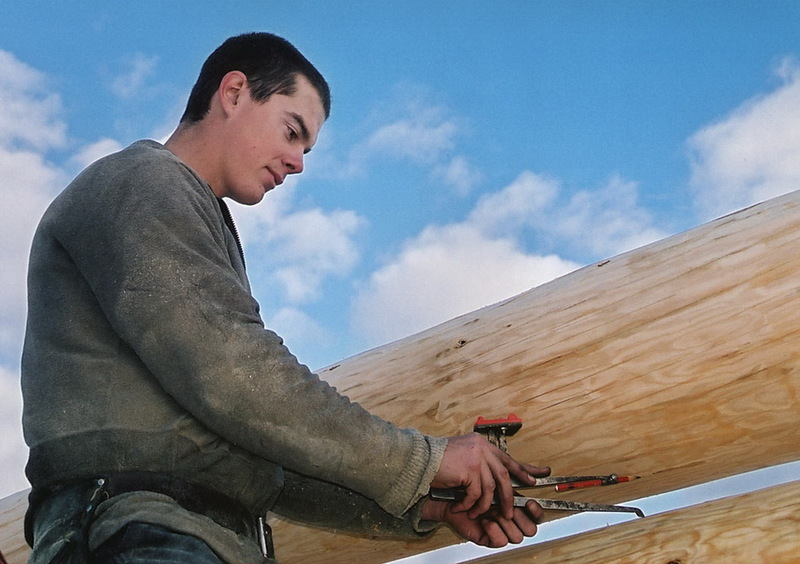 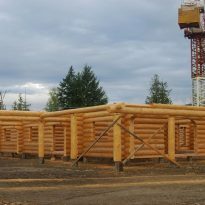 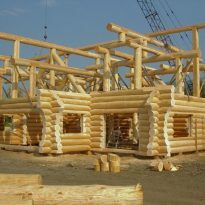 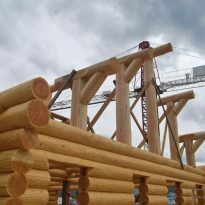 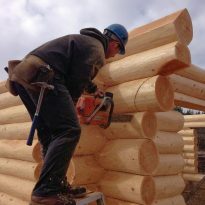 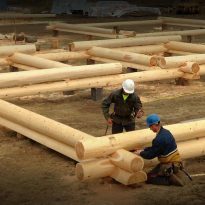 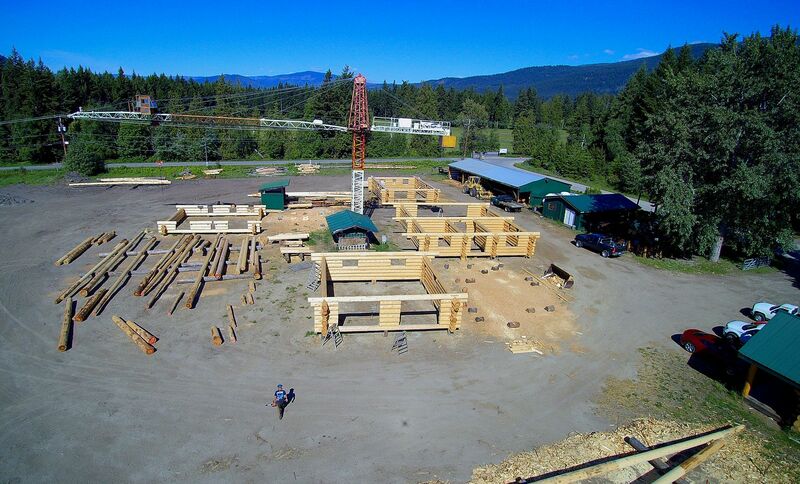 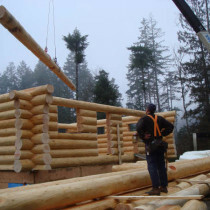 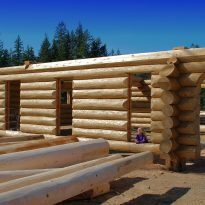 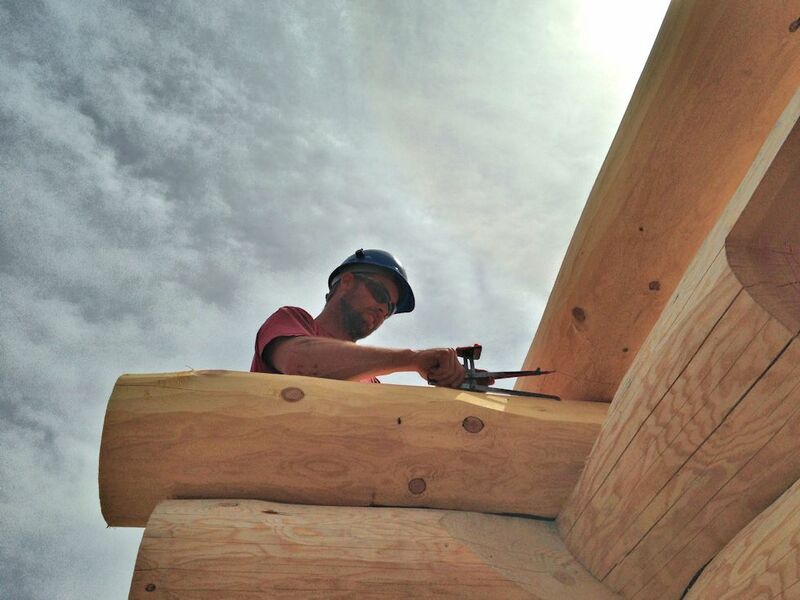 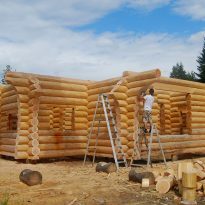 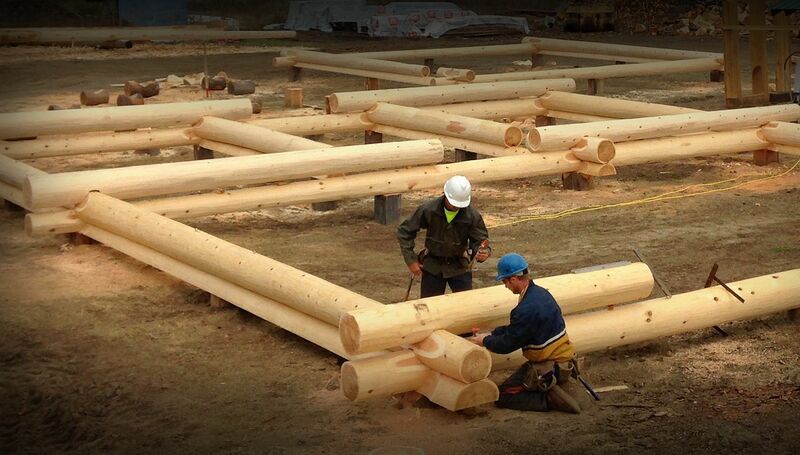 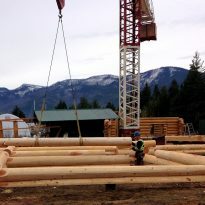 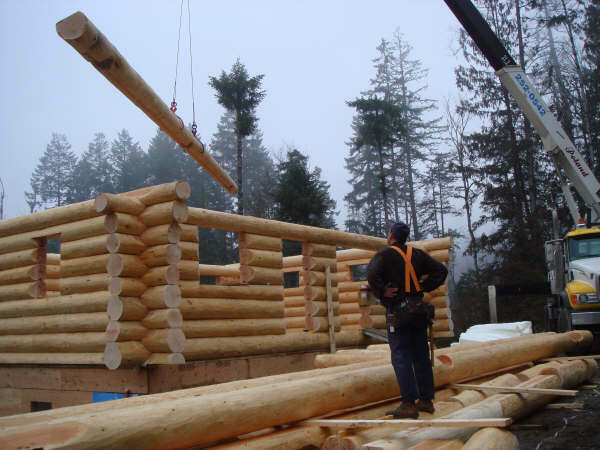 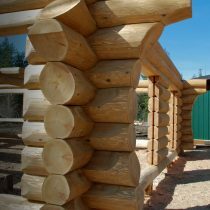 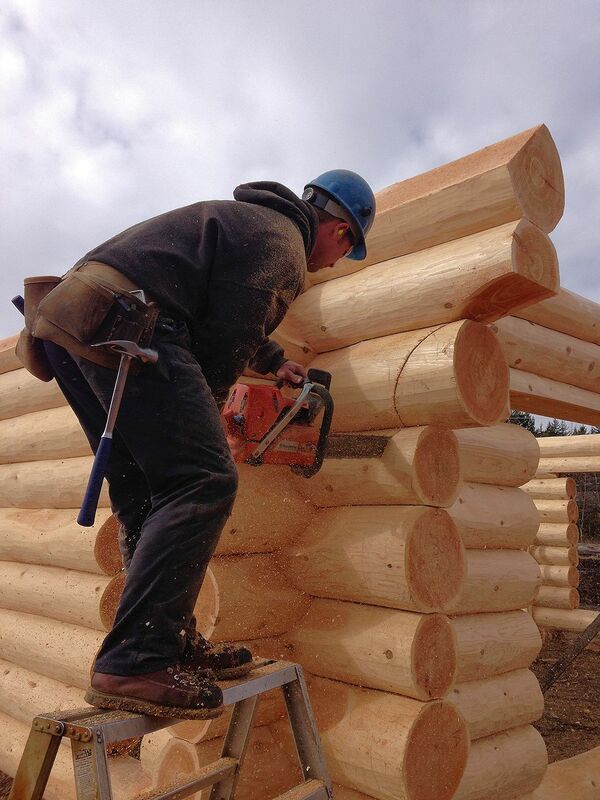 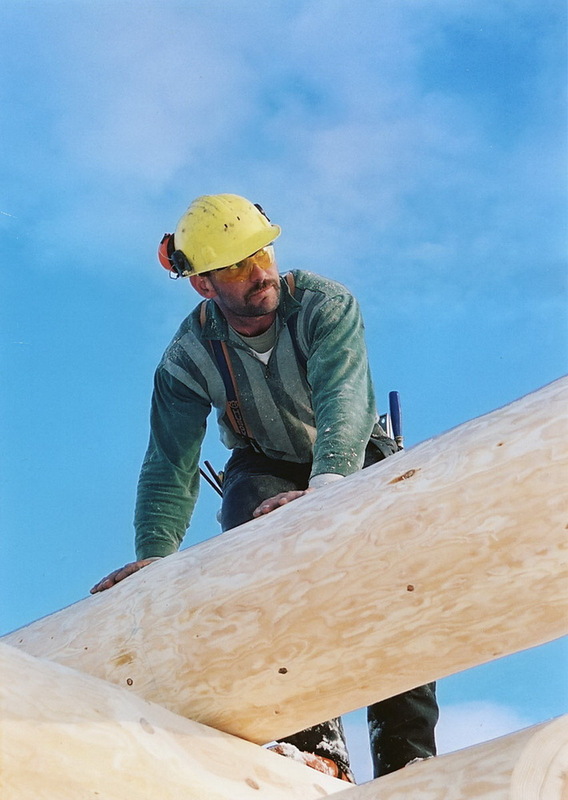 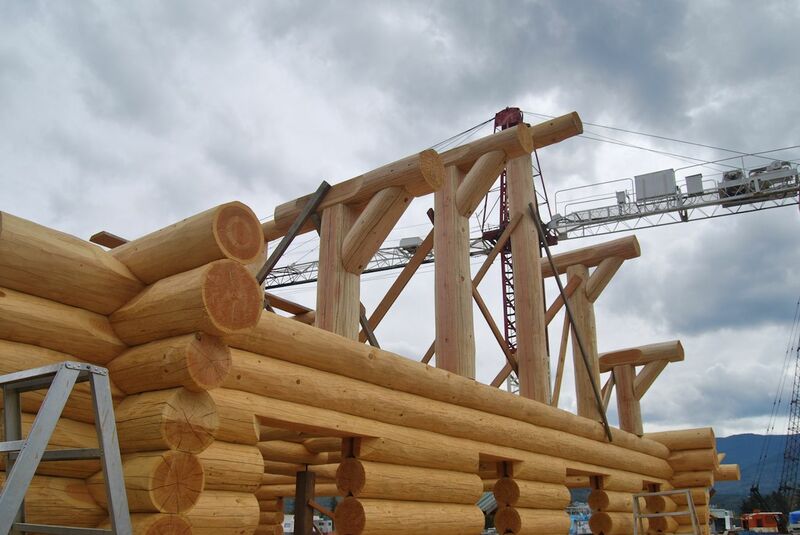 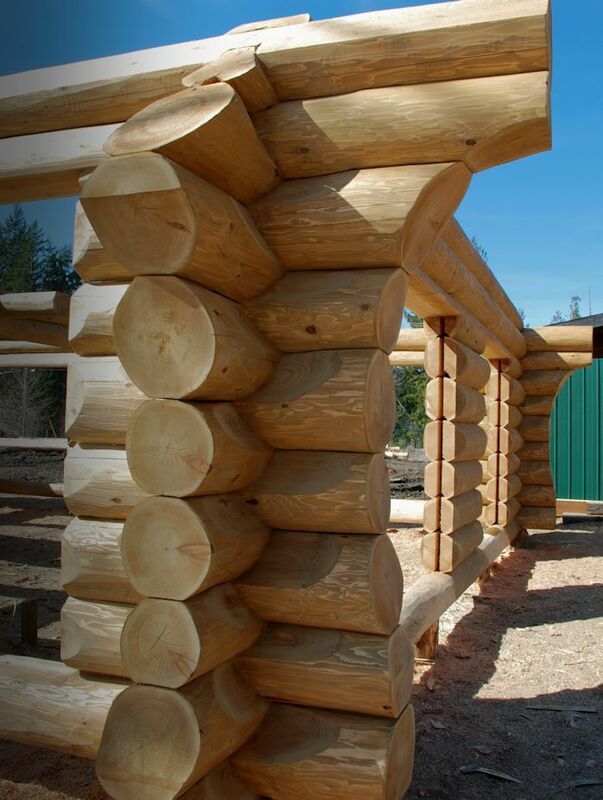 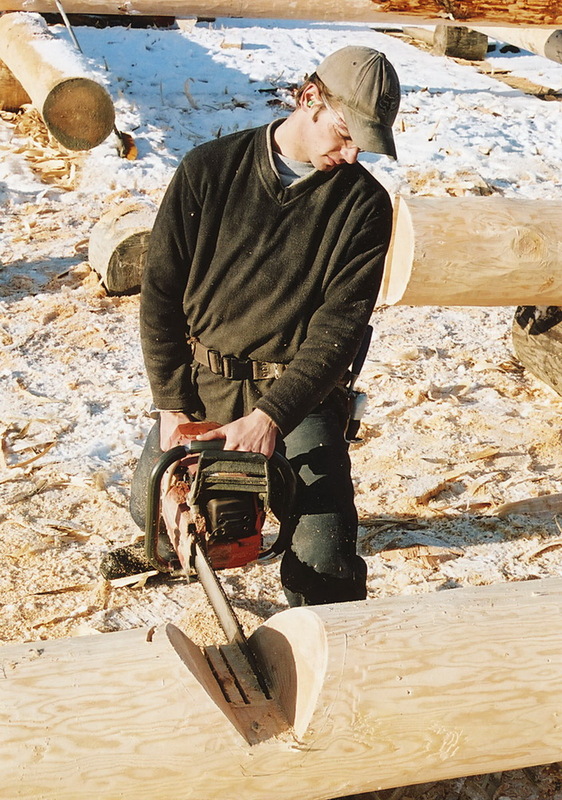 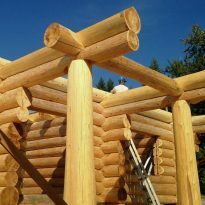 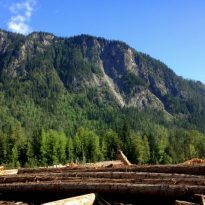 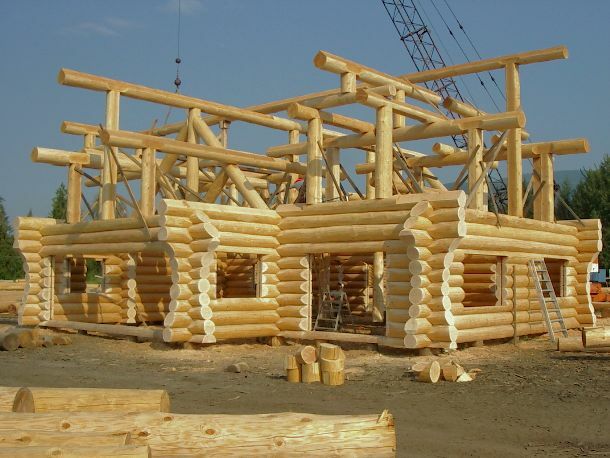 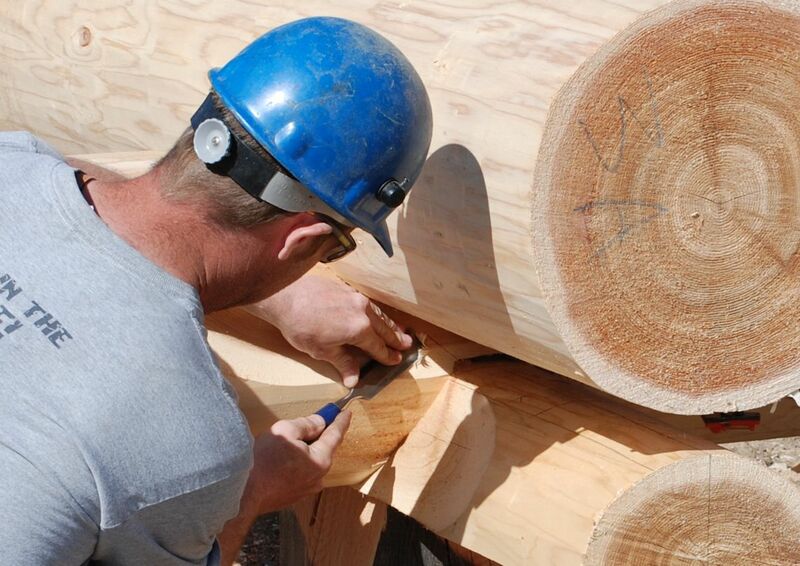 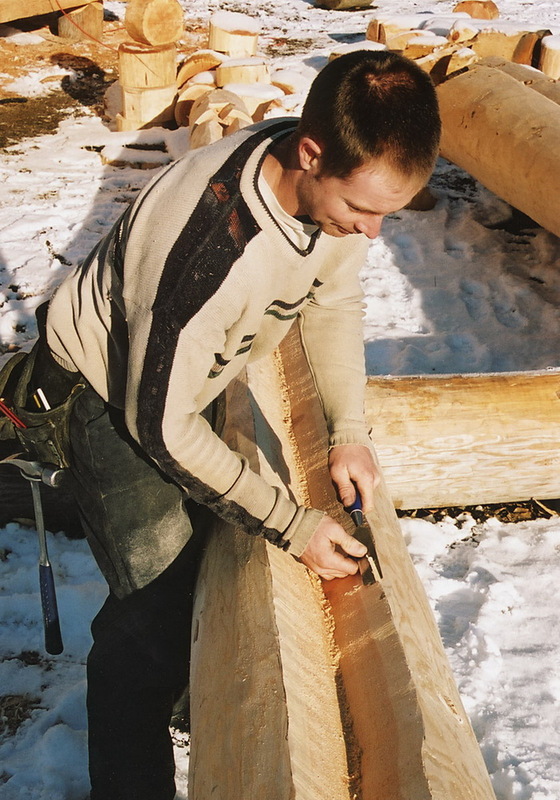 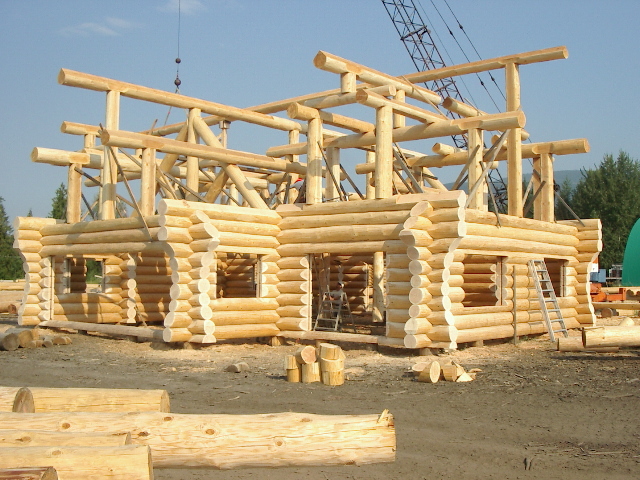 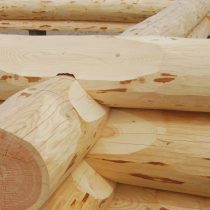 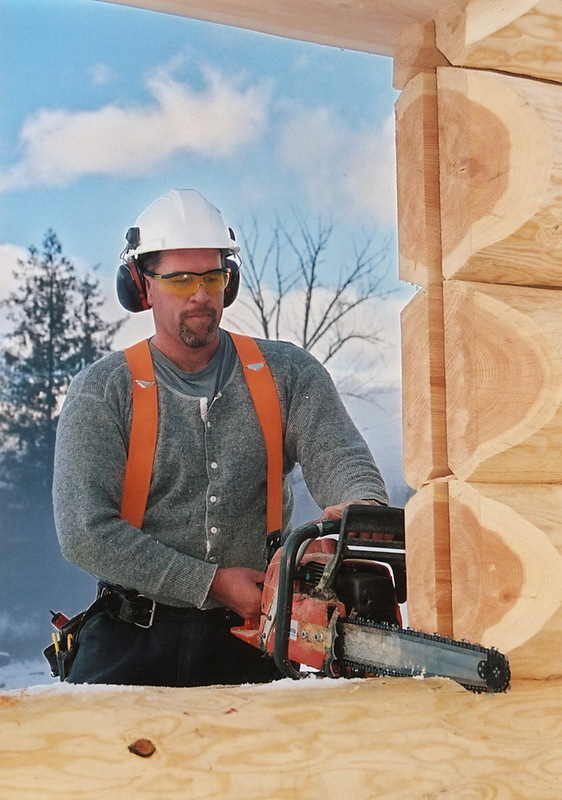 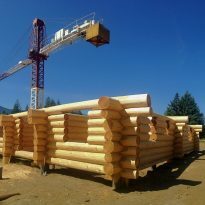 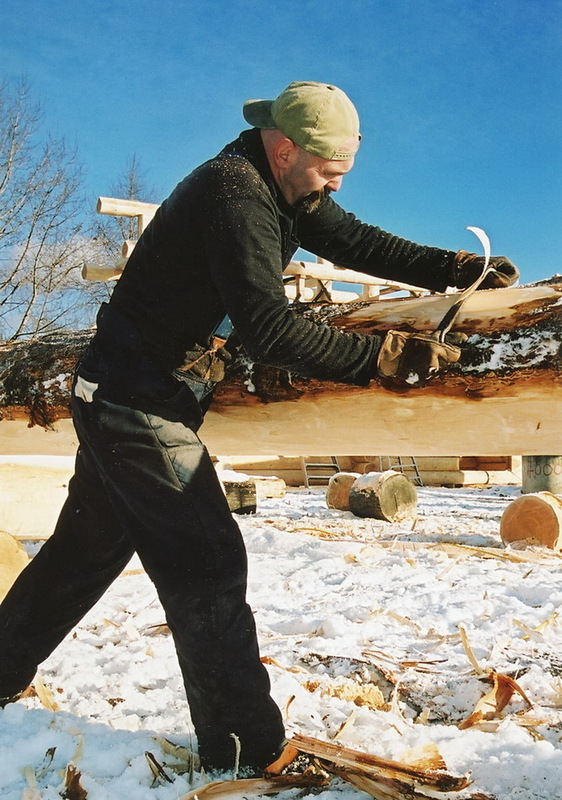 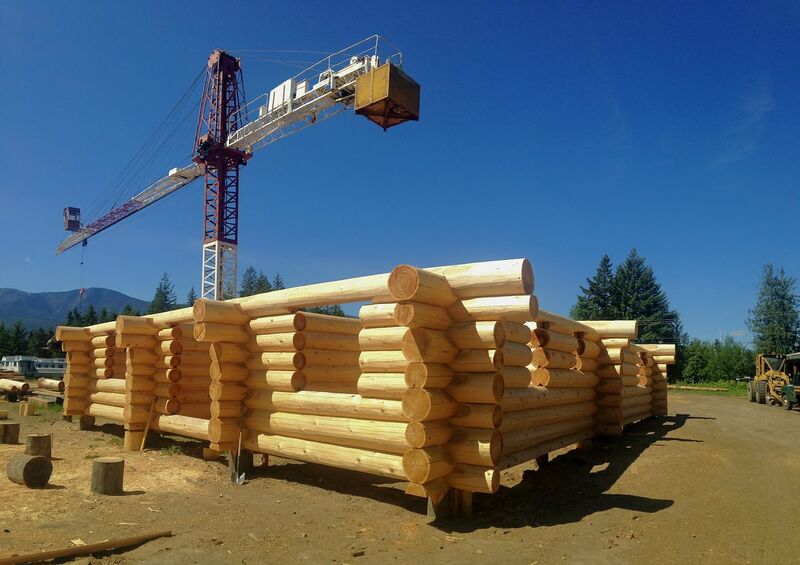 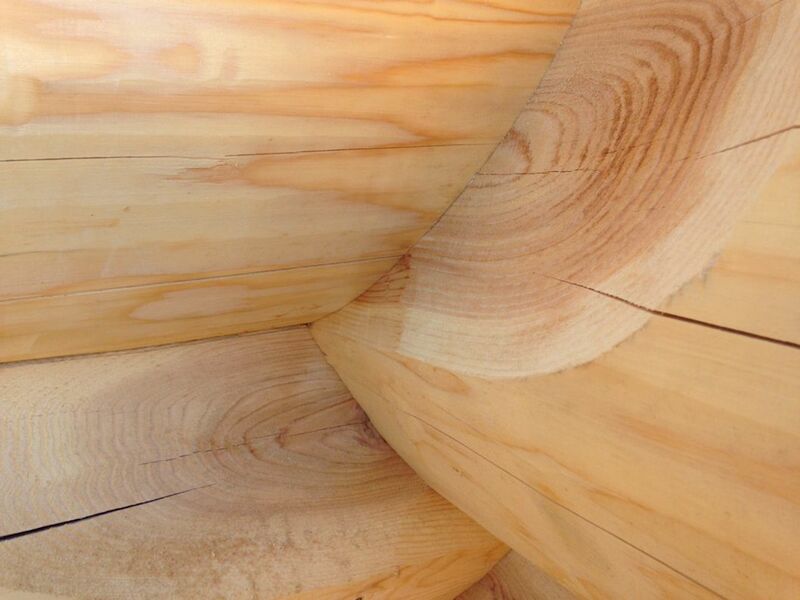 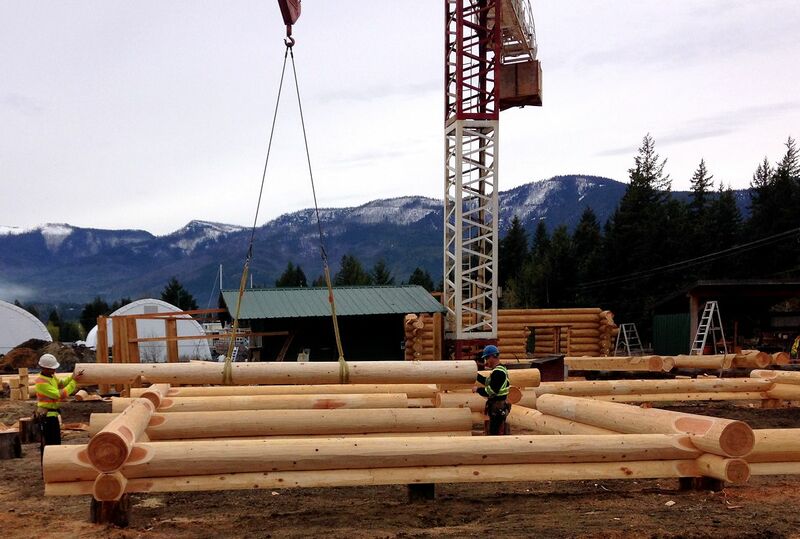 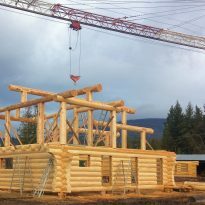 Your Handcrafted Log, Timber Frame or Post and Beam home will be manufactured from the highest quality timber available in North America: Douglas Fir or Western Red Cedar. 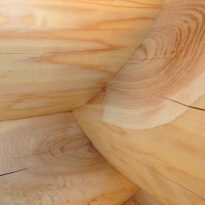 Douglas Fir has many superior qualities it is hard, strong and dries easily with little tendency to check. 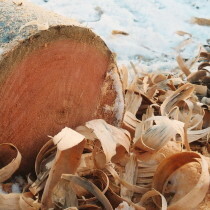 Hand peeling will bring out the unique beauty and clean, bright appearance of this exceptional species. 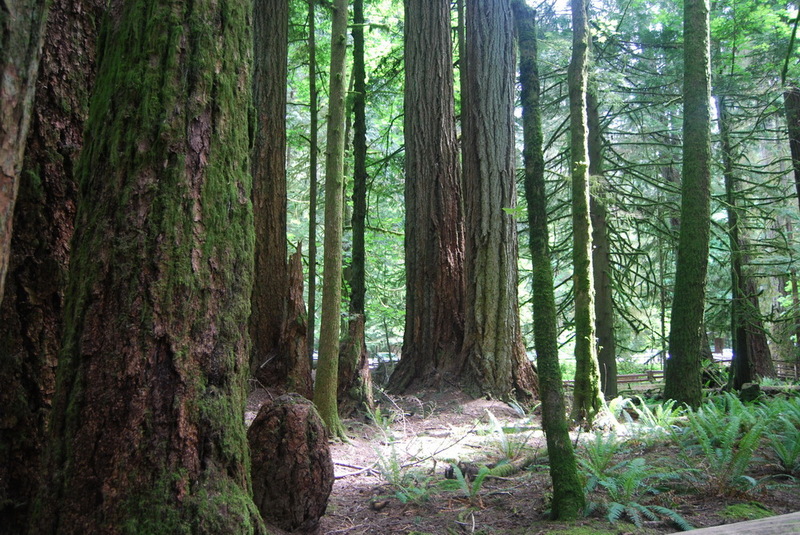 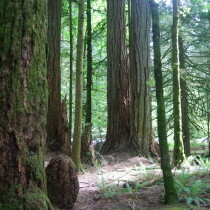 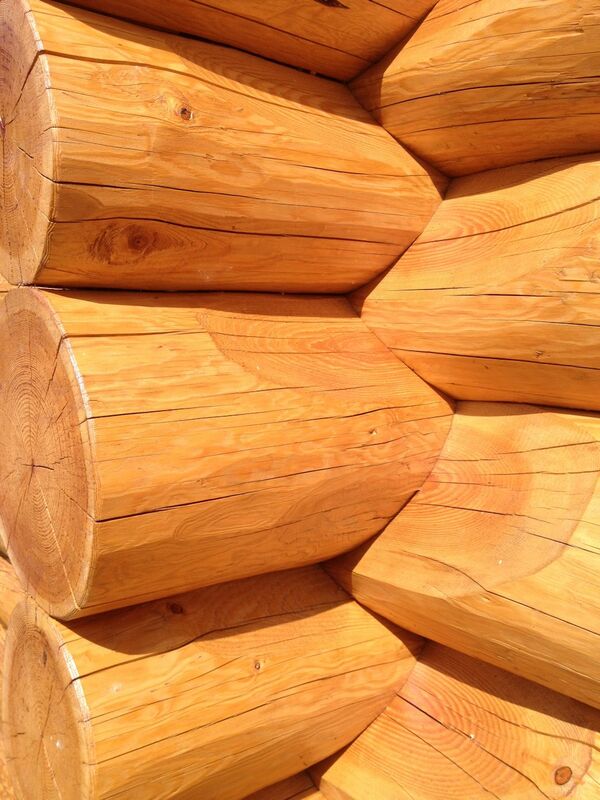 Western Red Cedar has the greatest resistance to bugs and moisture which make it preferable in some locations. 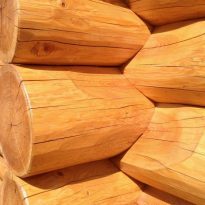 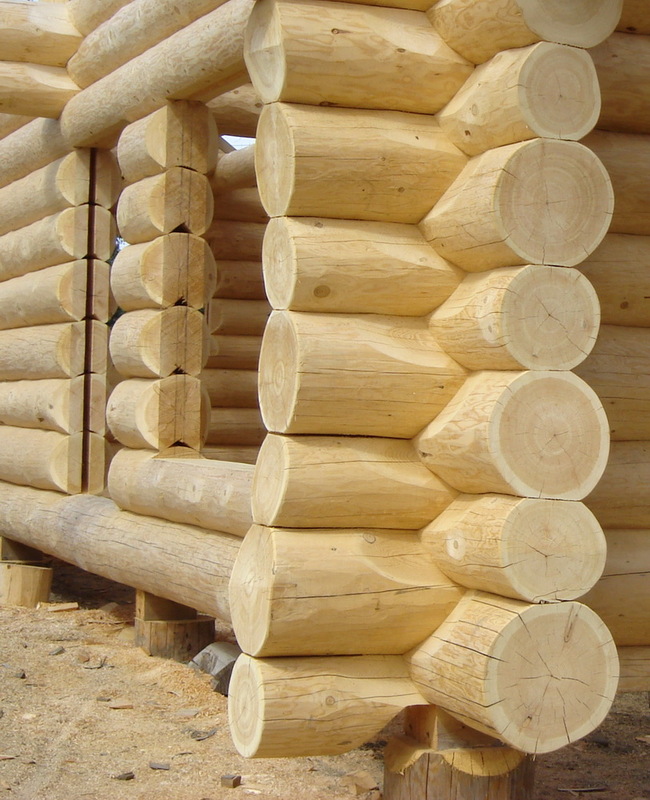 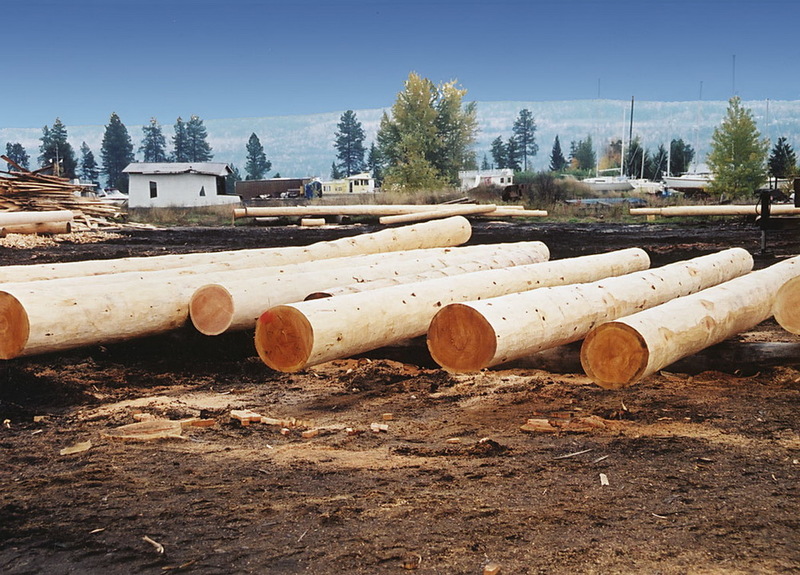 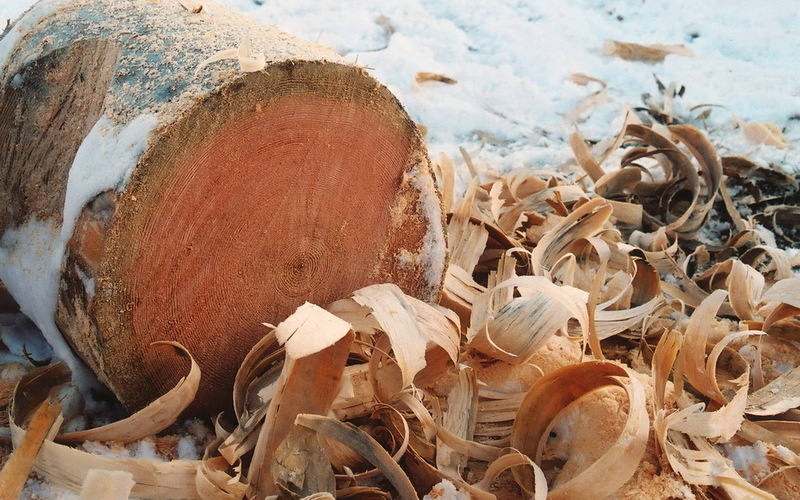 House logs are individually selected to ensure that each is straight grained, free of dry rot, pitch checks or bug infiltration and has an average mid span diameter of 15” which provides good dimensional stability. 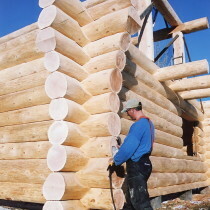 Each log is hand-scribed, following the natural contour of the log, to fit it to the log beneath. 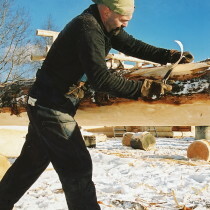 We use a modified full scribe method sometimes referred to as the “Scandinavian Full Scribe” method. 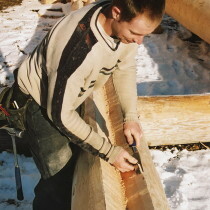 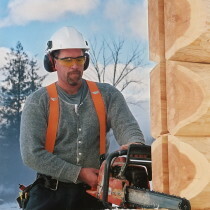 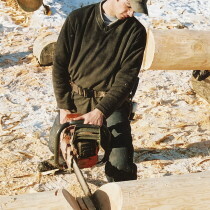 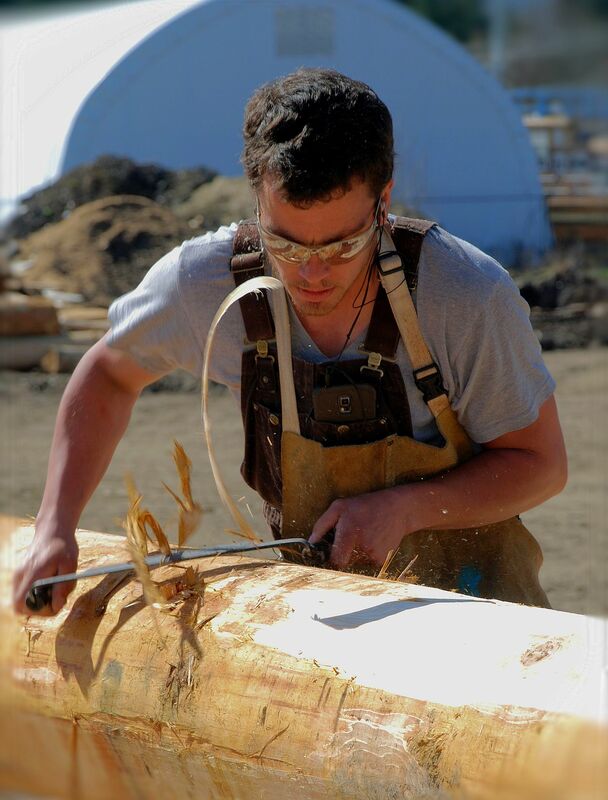 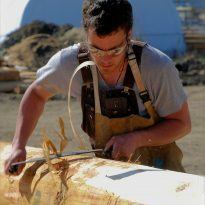 The scribed lines are cut out with a chainsaw and detailed with a chisel to form a lateral groove on the bottom of the log. 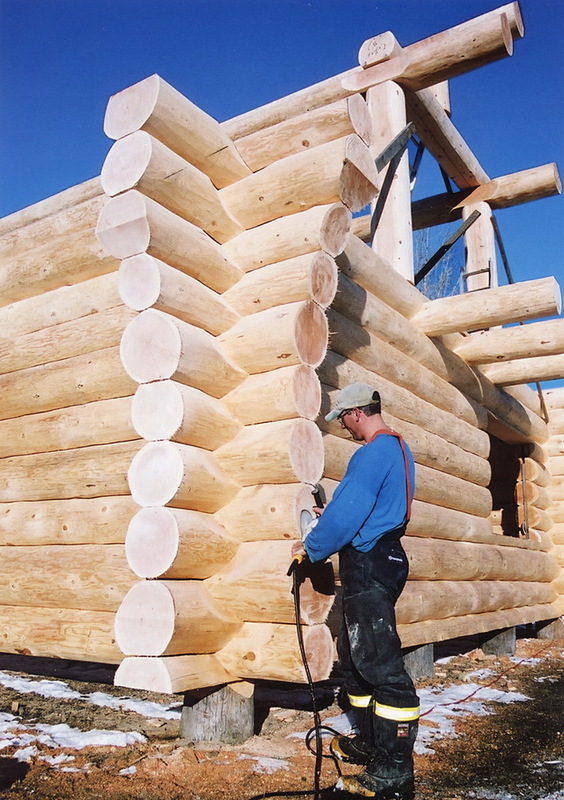 During the re-assembly process insulation will be inserted into the lateral groove and notch of each log. 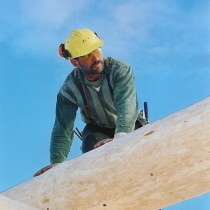 An expandable foam gasket (Emseal) is also installed at this time. 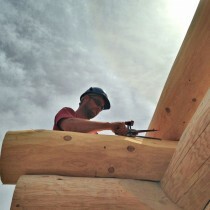 The corners of the building are then scribed and notched out with a power saw. 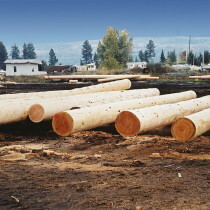 This process is repeated with each log. 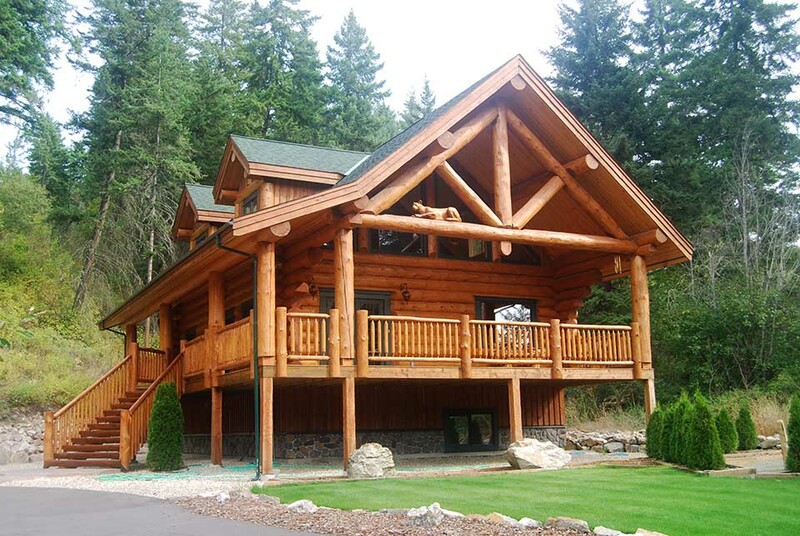 The majority of homes are 10-12 rounds high. 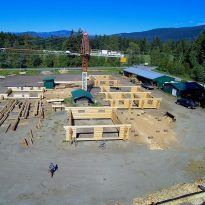 Throughout the manufacturing process pictures will be emailed to you, allowing you to watch your home progress. 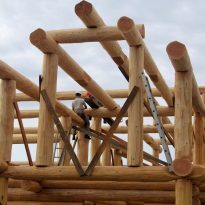 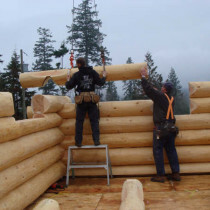 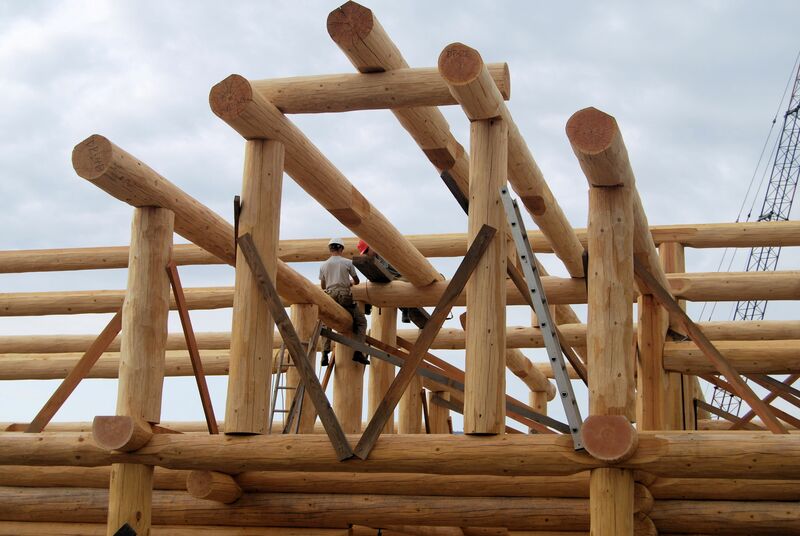 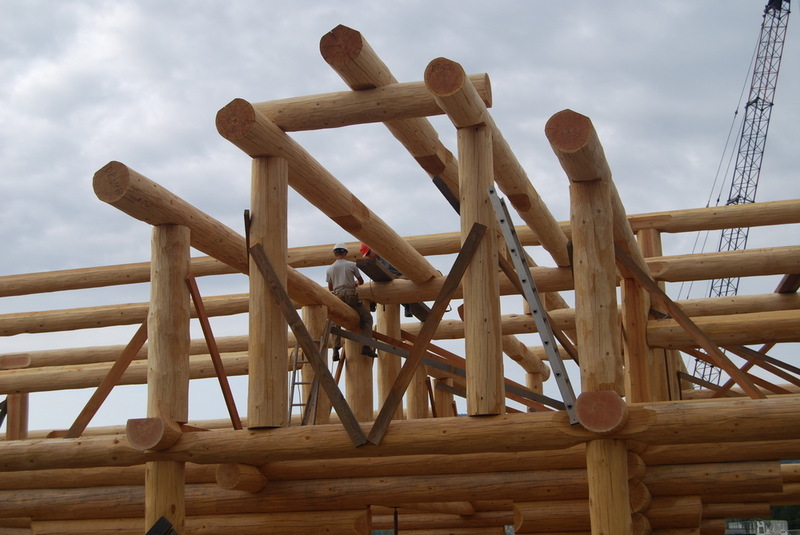 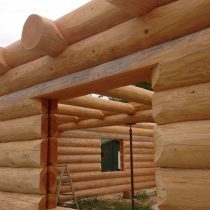 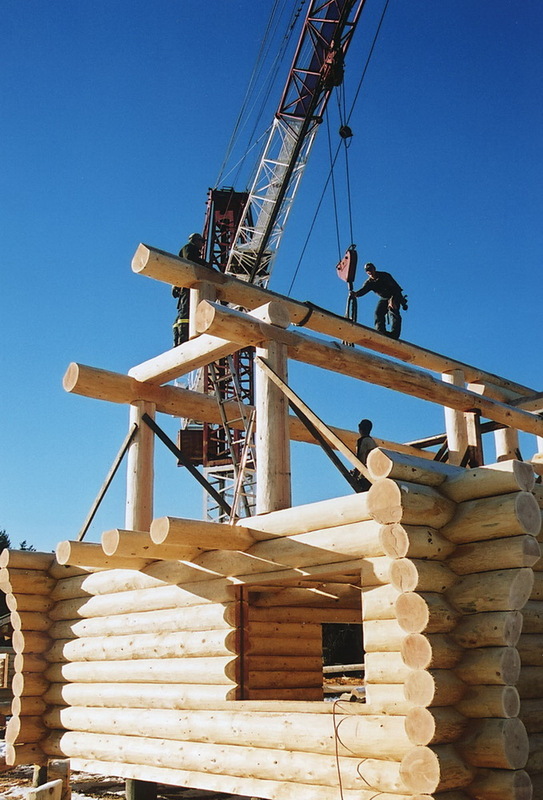 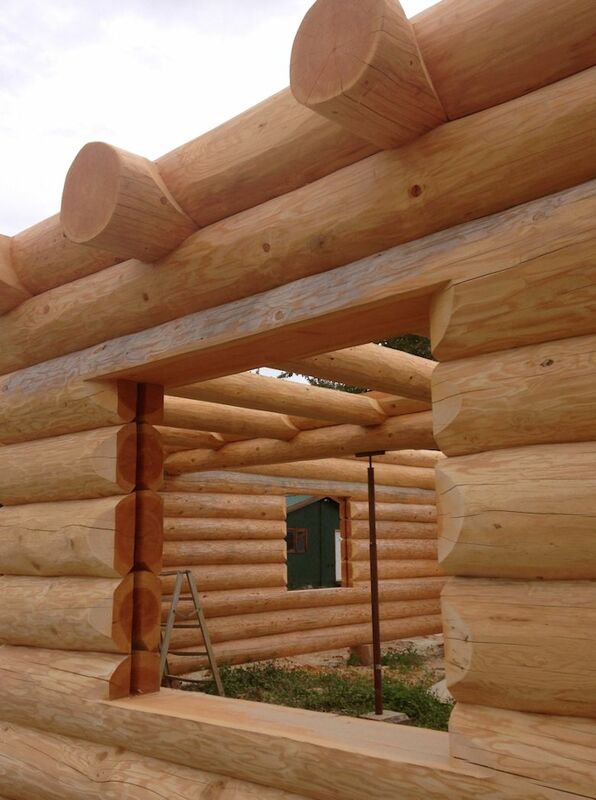 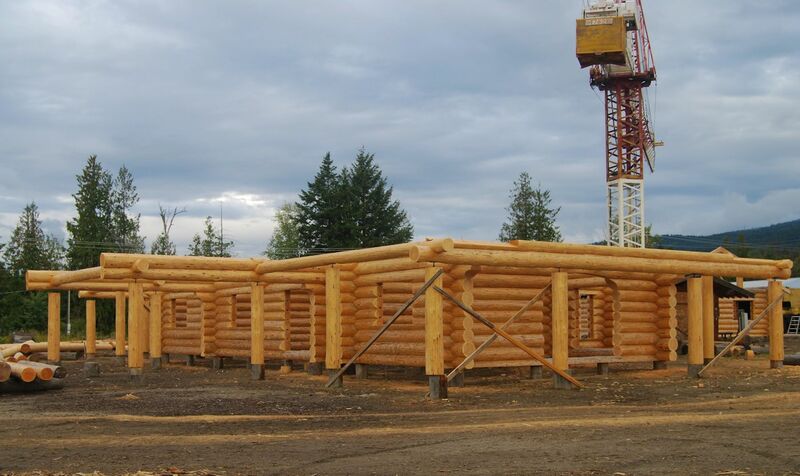 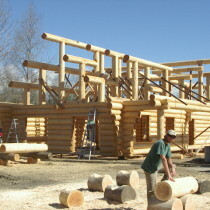 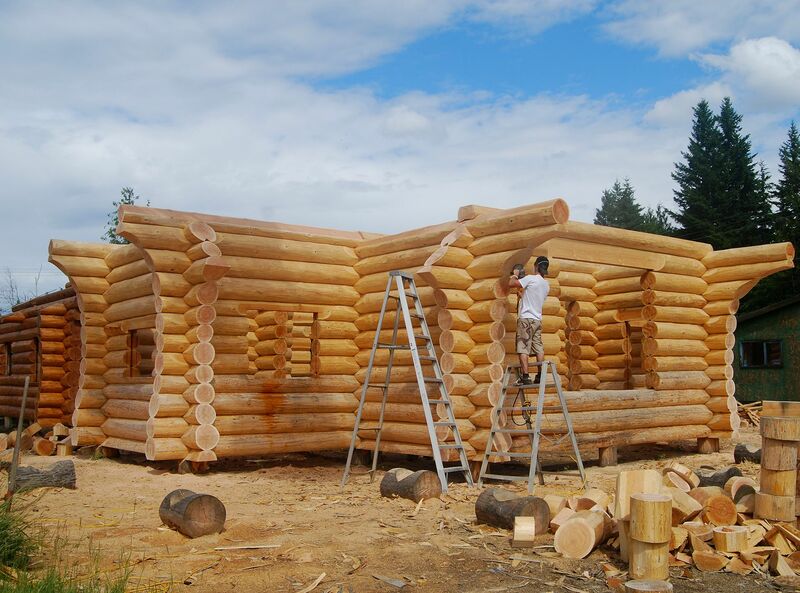 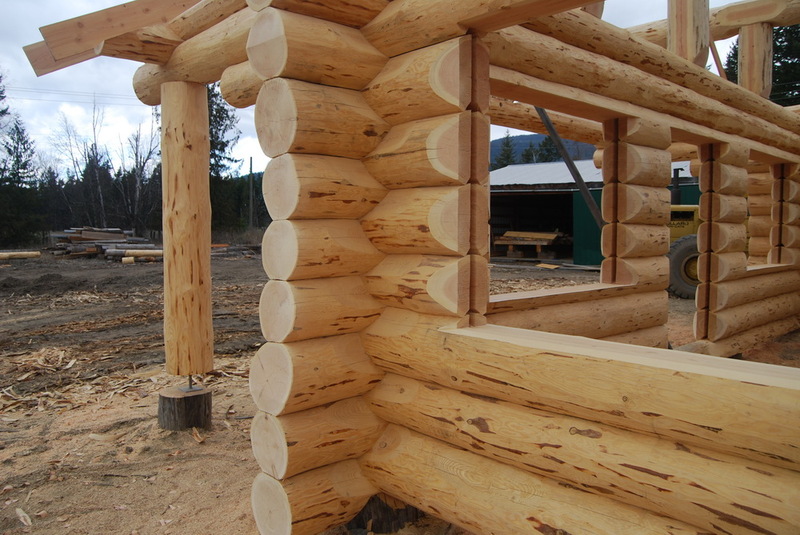 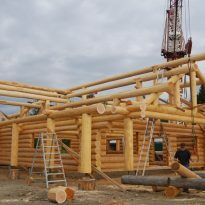 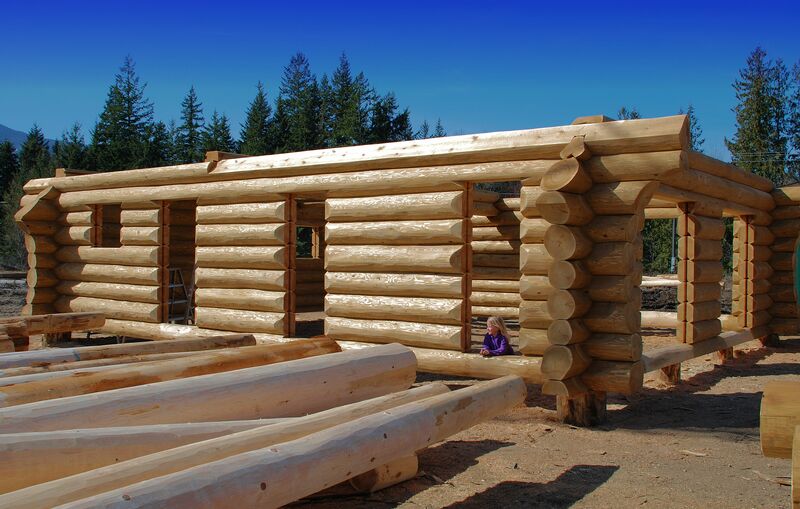 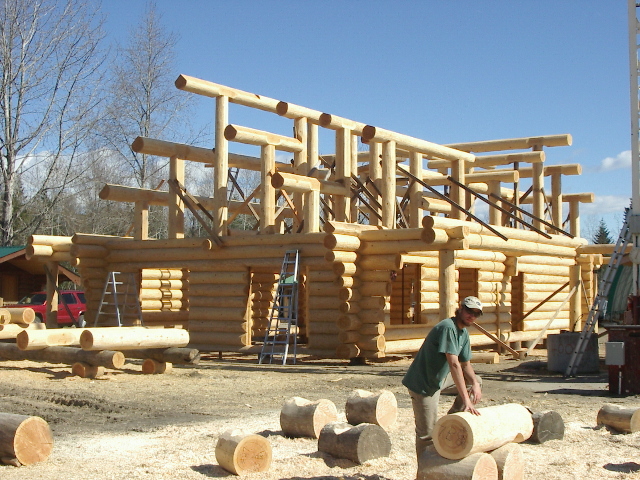 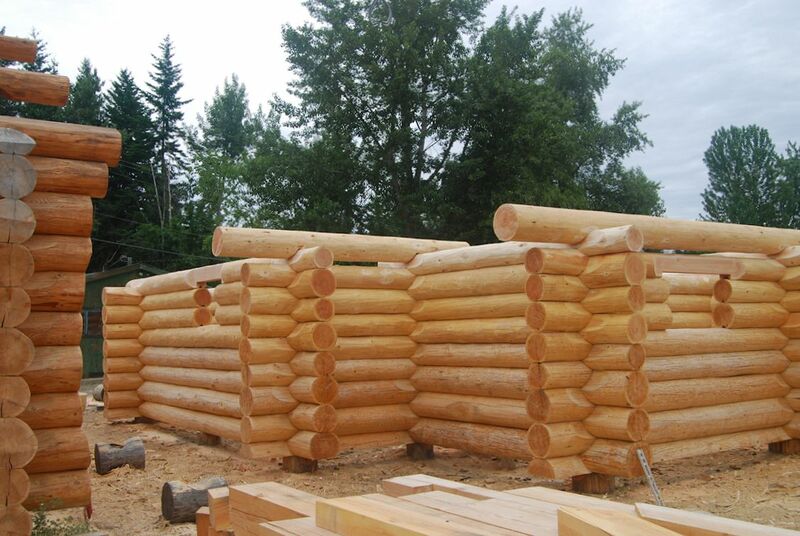 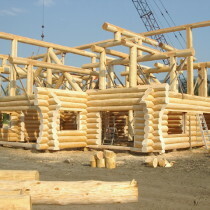 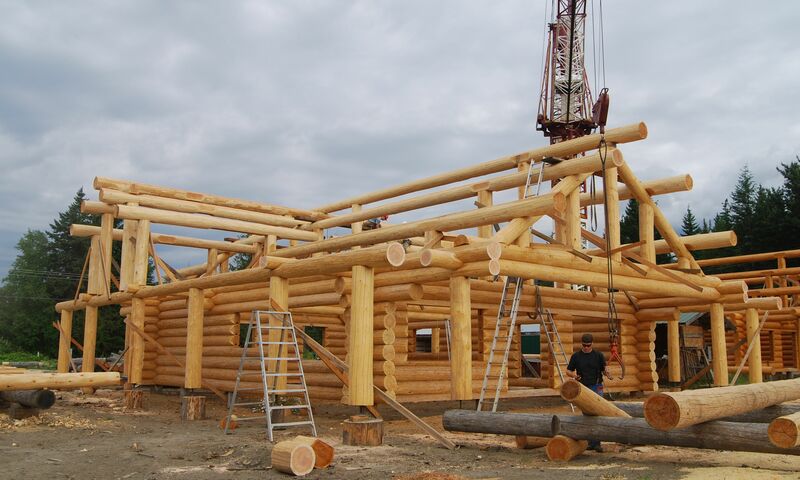 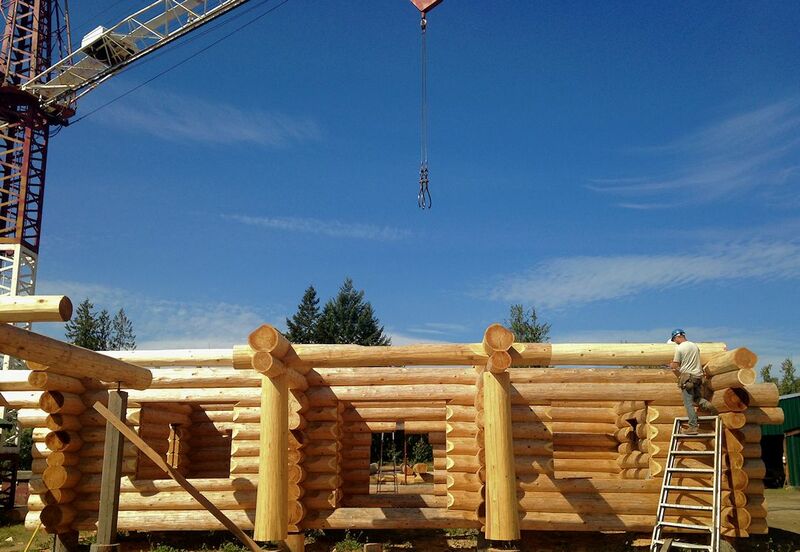 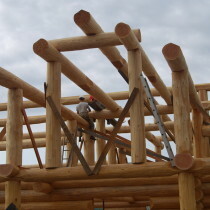 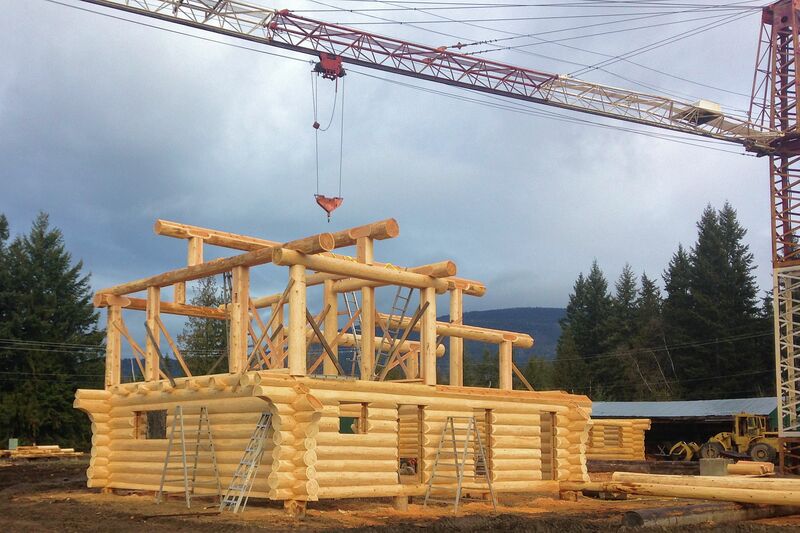 Once the log walls are complete, the log roof support system is constructed and erected. 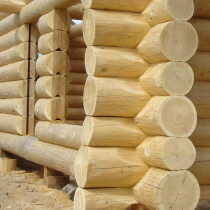 This consists of posts, purlins and ridge poles. 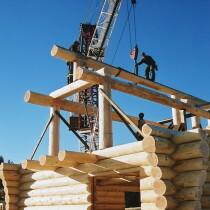 Roof support beams average 18-20” mid span diameter. 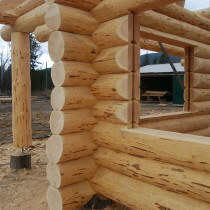 Log ends are trimmed and sanded at this time and the openings for doors and windows are cut out, keywayed and flared for trim, preparing them for the installation of doors and windows. 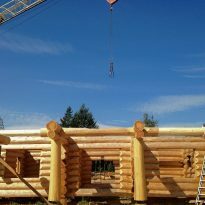 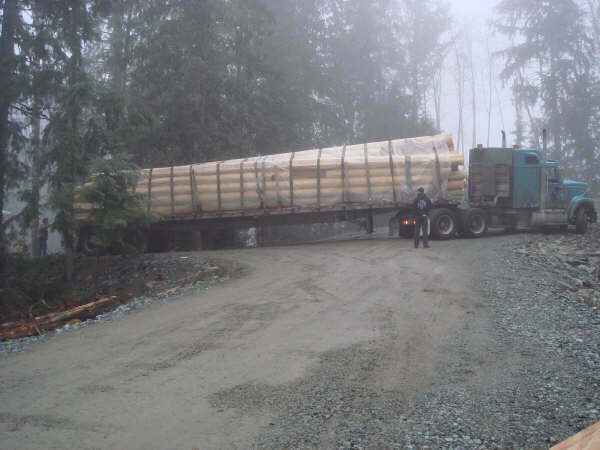 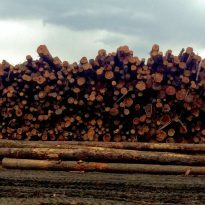 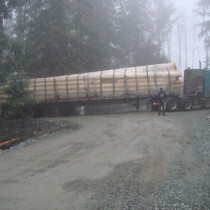 Once the log construction is finished on our manufacturing site your home is dismantled, labelled, and loaded onto flat deck trucks for delivery. 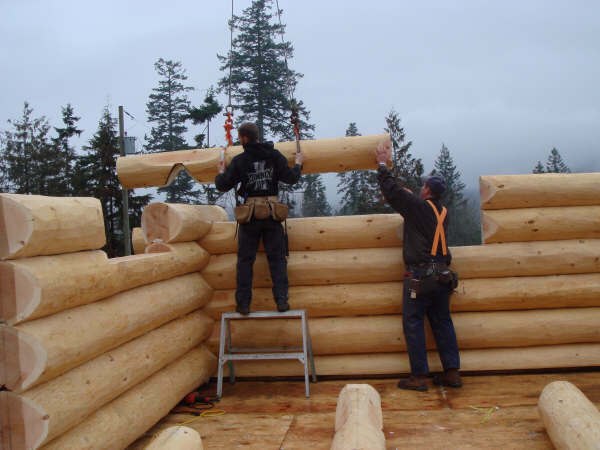 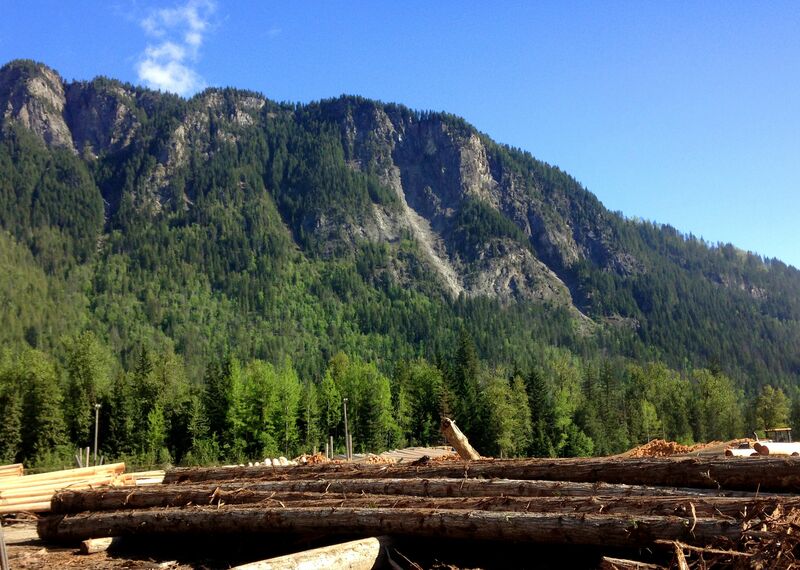 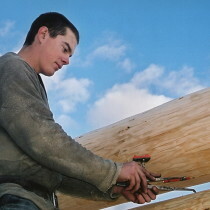 Supervisors from North American Log Crafters will be sent to your location to help facilitate the reassembly process. 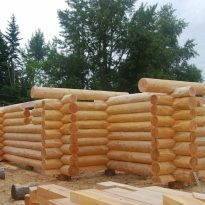 The length of this stage varies depending on the size and style of home but typically takes 2-7 days. 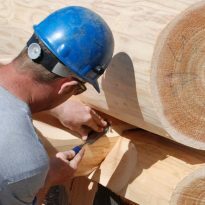 After the reassembly is complete, our supervisor will spend as much time with your general contractor as necessary to ensure that all details are addressed. 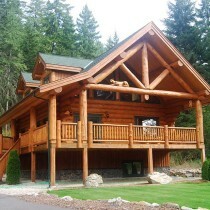 After we leave, however, we are never more than a phone call away!